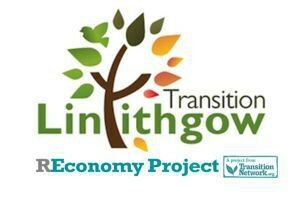 Home » News & Blogs » What does REconomy look like in … Linlithgow? 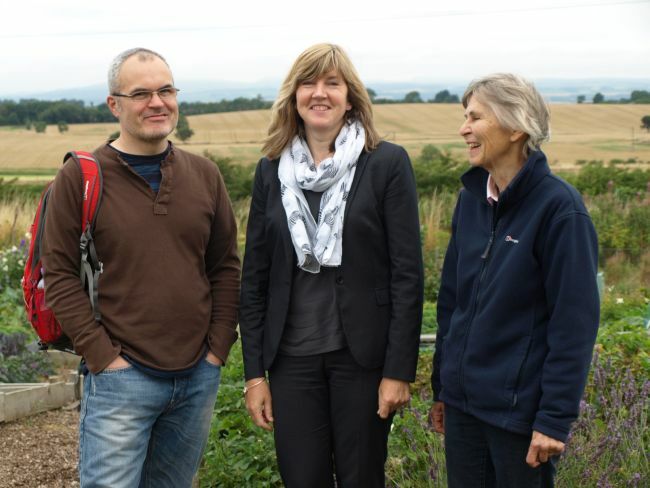 Alan Brown of Transition Linlithgow (TL) in Scotland participated in the REconomy Event in St Andrews in October. Here, he shares his experience of the group as a start-up, and incubator and a new phase looking at longer term REconomy activities and how this feeds into other activities on the ground and regional and global issues. REconomy in Linlithgow is in an embryonic phase. Our organisation has been through stages that many other Transition groups will recognise: the forming stage, traversed through short term grants to kickstart many changes and projects, and now in a third phase of exploring the longer term and more permanent actions that need to take place. Locally, we’ve done a lot to help make things happen: easy house insulation, solar panels, planting orchards, setting up allotments. With the low-hanging-fruit picked, we are now reaching higher and seeking sustainable initiatives which achieve long term permanence including creating jobs. We hope to start exploring deeper change which reaches more people and has a deeper impact both on the local economy and on the environment. TL works on three levels. Doing stuff ourselves that no-one else will, partnering with others and initiating new standalone enterprises/groups. 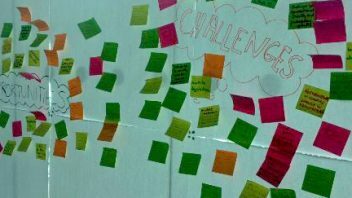 We learned a lot from the St. Andrews Transition Scotland conference in October of the difficulties some transition groups had with releasing control of any idea they had developed. 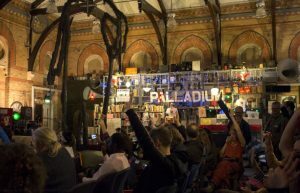 At TL we think that accepting that your fledgling ideas might develop into standalone enterprises or community groups is perfectly ok. That it is positive in fact. As we develop our work around REconomy we will continue to hang onto this approach. At the very beginning of TL, back in 2008/9 we helped to launch the Allotments Society. Once they had enough momentum of their own, we left them to it. Better to then turn TL’s finite energy and resources back into identifying the next thing to start. We don’t need to be the custodian for the long term, but hopefully one day, when profitable, they may look back and make a wee donation-in-kind back to our core group! With our work on REconomy we are probably not at the celebration point. But we enjoy meetings of our Food Co-op with yummy cakes and cookies supplied each time. Why not! It’s a food project after all! As projects develop, we aim to have launch parties to celebrate perhaps the first order, 100th order, etc. Our energy spin-off Linlithgow Natural Grid might have a similar celebration event around the switch-on of the first community solar array or whatever it develops. We’ll also celebrate progress through photographic archives and regular social media storms. Linlithgow has a wealth of community organisations and at times it feels like too many! But in many ways it is very positive – we can tap into different sectors of our community to get support for our work. On REconomy it’s early doors. We’ve spoken to our local Business Association members and with the formation of two new BID’s (Business Improvement Districts), we have the potential to connect more deeply on things like: collectie energy purchasing, combined multi-roof solar arrays/private wire networks, etc. Connecting with other groups in town multiplies the number of connections and saves a lot of shoe leather going from business to business telling the same story over and over. What will be really important to expanding our work on REconomy is the Linlithgow community magazine which has about 10 issues a year, is 100% positive, content all by local volunteers, delivered to every house in town (roughly 5,500). It is a great medium for TL and we write 500 or so words every few months on various topics. We know it’ll be read by a much higher percentage of our town than if we used the local press or social media which both have demographic limitations. Discussing economic value of ‘local’ is an interesting aspect which we are looking at both with the help of the REconomy Project but also the Scottish Government’s ISM toolkit which helps to identify and guide you through those psychological barriers to change. There are many many other resources that are useful including: Co-operatives UK, Reconomy Project, Nourish Scotland, Community Share Scotland, Social Enterprises Scotland. For groups in Scotland it is useful to look at the Scottish versions of some organisations, as often the UK or English versions point to resources that are not applicable, or to grants which you cannot access here for example. REconomy is as connected to climate change as much as any part of our activity. But not everyone is motivated by Climate Change (including most of the current political parties) so it is really important that we adapt our language to remain relevant and have a steady and constant push for change. The main focus on climate change globally feels like Paris 2015 and the 350.org’s Divestment campaign. Both great but quite abstract for many who don’t get involved in policies or managing large pension pots. Transition is keeping us focused on the here and now. There’s interesting dynamics going on with large energy companies & chain-stores. Ideal opportunities to promote alternative thinking and economic models. i.e. what if we had our own energy company, our own food co-op, our own farm, bank, car-club, etc… One obvious benefit of the Scottish referendum is that people are more up for discussing alternatives to the status quo. This really feels like something to capitalise on. What would be really useful for our work on REconomy moving forward, and probably for other groups too, would be a toolkit or starter pack on the legal side for each type of enterprise. We waste too much time concerned if each initiative should be a Company Limited by Guarantee, or a Community Interest Company, or a Scottish Charitable Incorporated Organisation or Industrial and Provident Society. There are way too many options out there. A nice matrix of all these options could, perhaps overlaid with real life examples and comments from existing enterprises on why they went down one specific organisational structure and not another. Equally one packed with templates for fundraising, membership admin, advice on ethical banking options, etc. As much as we can get to fast-track people through the dry and dull bits of getting from an idea to reality. Undoing early mistakes in this can be costly both in terms of volunteers but perhaps also money and legal undoings. 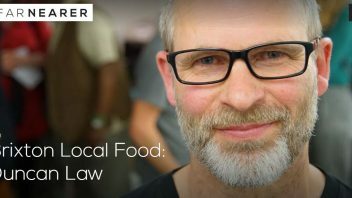 So if we want to set-up a community energy company, or a local bank, or a remakery, a bakery, a brewery, or food co-op. what are the most likely solutions, and why should we avoid all the alternatives? Ideally documents would be a toolkit of templates to download and edit. We can’t afford to waste time on this stuff, and equally we wish to show folks that it’s easy to do. The diversity of options is the problem. What would I say to anyone else setting up similar REconomy focused work? Go where the momentum and interest lies. Don’t push the REconomy snowball uphill. Listen to what your community wants, talk to people, survey them and try to find out what they are interested in which aligns with the aims of your Transition group. There are two sides to REconomy. Enterprises that don’t need explaining and ones that might need a bit of education for folks to grasp the benefits. A local brewery or bakery is the former, where-as a Library of Stuff / REmarkery or local currency needs more education up front. I link back here to the ISM toolkit which is basically behaviour change at 3 levels ‘individual’ ’social’ and ‘material’. Using this toolkit helps us to consider all 3 aspects which all need focus for success. While we are selling the benefits to the individual, lets look at promoting the new social norms and also breaking down barriers that might prevent it taking place or sticking for the long term. e.g. for a Cycle to School project, look at the benefits to the child, to the parents, to the neighbourhood from less cars but also to the infrastructure of the bike racks and security, etc. One of our current projects being incubated is our EH49 Food Co-op (Cheers DE4 Food Co-op for the name idea!). 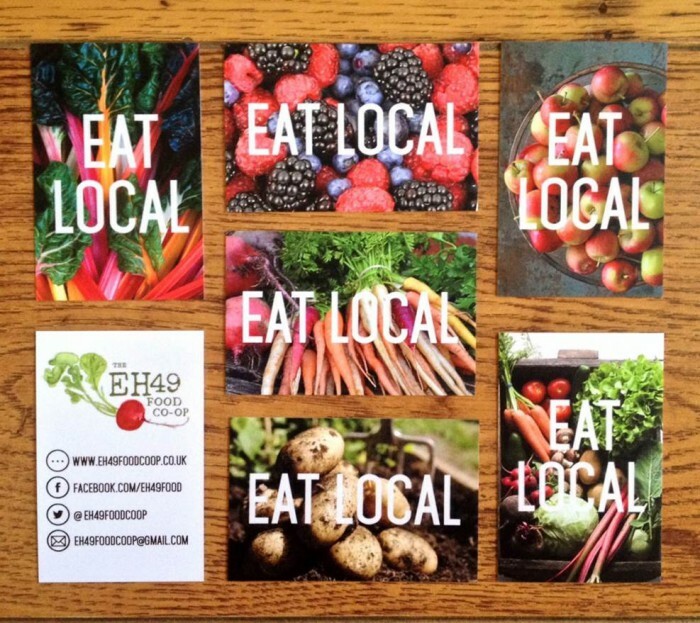 We want to promote the benefits to the consumer or supplier, but we also need to market the social benefits of buying local, skipping the middle-man, choosing organic, etc. We also need to solve the material issues. Convenient shopping experience, home delivery, flexible finance options, etc. This blog appeared on the Transition Network website on 14th May 2015.